Mozilla announced today it had released a new version of its Firefox browser for iOS devices. The updated browser comes with many new features and improvements, but these are just a taste of what's to come later this fall. All the enhancements announced today are supposed to set the stage for Mozilla's Project Quantum, the company's effort to develop the next-generation web engine and offer significant improvements to all users by the end of 2017. 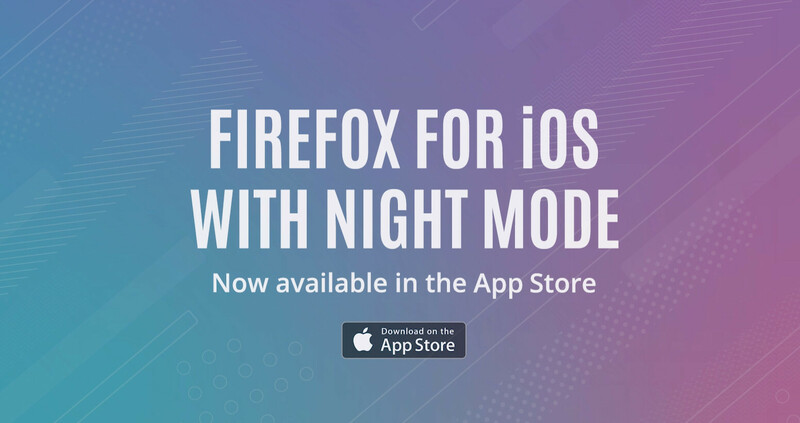 Among the highlights of the latest Firefox release, we should mention the new Night Mode which dims the brightness of the display and eases the strain on the eyes. Also, a new QR code reader is now available in the browser, which means you won't have to download a third-party app just for that. The tab experience has been polished even further to enhance users' mobile browsing experience. In addition, Mozilla included yMail as one of the supported email clients. If you use Firefox Logins to sync passwords, then you'll be pleased to know that the password manager now features improved login page detection. Some bug fixes and tweaks have been implemented as well. For example, an issue with YouTube and other video sites playing audio but the video was frozen has been addressed. Also, Firefox users can now control the address bar from an external keyboard. Lastly, a new Feature Recommendations tab has been added to Firefox on iOS, which offers hints and time-savers to improve the browsing experience. This one will only be available in Germany and US initially.